Continue shopping: click the "Keep Shopping" button and you will be directed back to the item page where you came from. To remove an item: To remove an item or items from the cart, use the select box beside each item and click the "Update Cart" button. You also can change the item quantity to "0" and click the update cart button. To change item quantity: Enter the desired quantity in the quantity field near the item and click the "Update Cart" button. To clear the entire cart: Click the "Clear Cart" button. To proceed to the order completion: Click on the "Checkout" button, and you will be directed to enter your billing and shipping information. Note, at this point you will be prompted to sign in to your account, sign up to a new account or continue checkout as a guest. After you fill in the checkout form with your billing and shipping information, click "Continue Checkout", you will then proceed to the final confirmation page where you check all of your information. Click the "Submit Order" button to process the payment. After you finalize the payment you will be brought to our payment success page. At this point an email with your order will be sent to the email that you entered as your billing email address. Please be sure that you have typed your email address correctly or you will not receive a confirmation. Security Note: Our Ordering Payment Process is done trough PayPal and is secured by SSL 256 encrypted connection. When you click the SUBMIT ORDER button, you will be under the PayPal Secure Site and fully protected. You can identify that you are secured to enter your information by looking at the locker on the browser address. 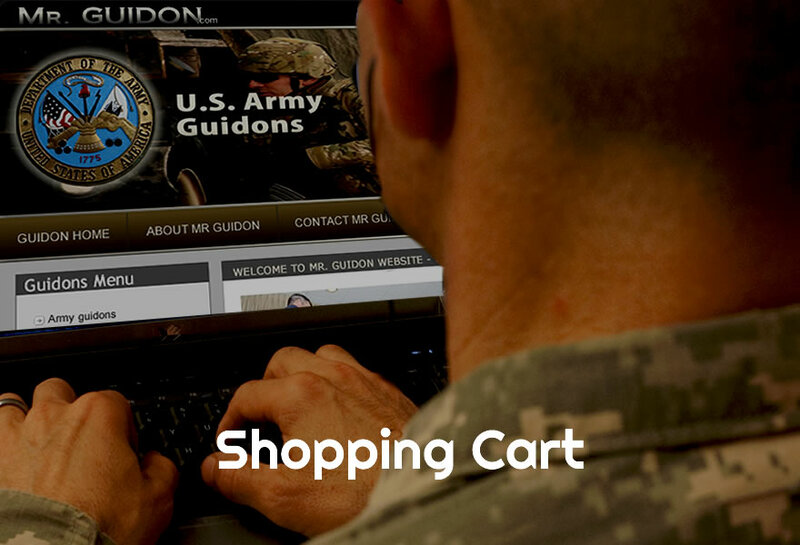 Purchase Protection: Shopping at Mr. Guidon you are covered by PayPal Buyers & Seller Protection. PayPal Purchase Protection covers all eligible purchases where PayPal is used, as well as payments made through PayPal website. To take advantage of Purchase Protection, PayPal requires, among other things, that you have a PayPal account and the account is kept in good standings.